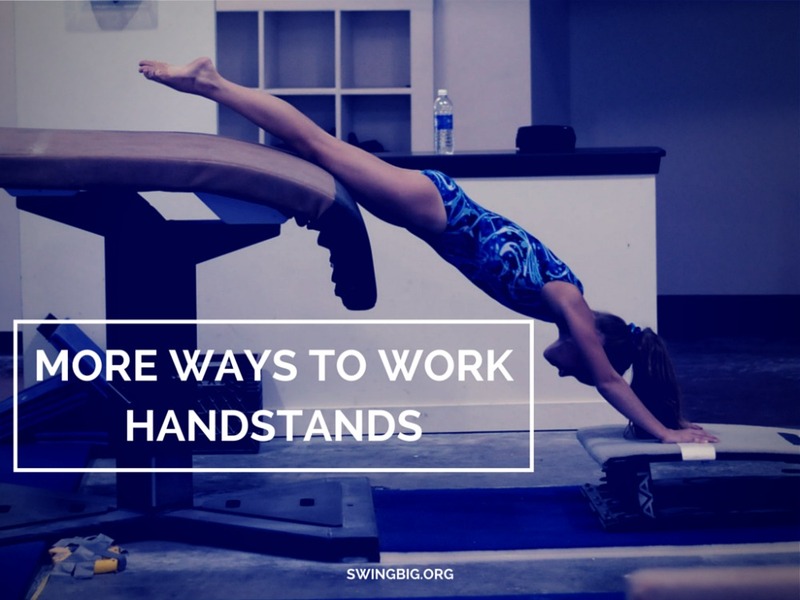 More ways to work handstands | | Swing Big! 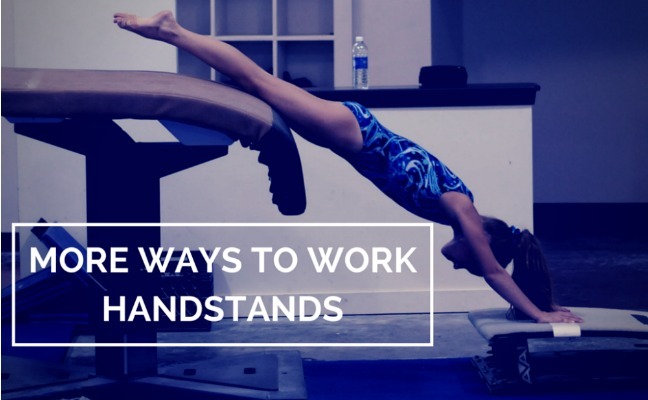 I wanted to share some ways of working handstands that you may not be doing right now. I see a lot of people getting stuck doing handstand holds against the wall, when there are SO MANY other ways to do them. Today I wanted to share a few of them. This first one is an ingenious way of using boys equipment to your advantage (seriously underutilized). One of the things I like about doing this kind of handstand versus something like a normal handstand hold is that it really engages the core in a way that typical holds don’t. If your gymnasts aren’t quite ready to do that, I would encourage you start with something like this to get them used to being tight at different angles. This second one is a slightly different version of the first one, except using a barrel. This one can be a really good way of encouraging that hollow handstand we often look for on bars. This last one is actually one of my favorite ones. The foam keeps the gymnasts arms in close enough and you can work on getting ribs in etc. 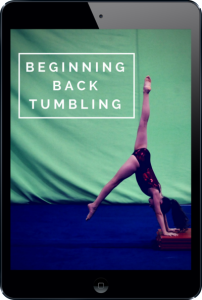 If you’d like even more basic tumbling drills – you should check out “Beginning Tumbling – Where to start with preschool and rec (from handstands to back tucks)” it’s 94 minutes of easily taught drills and progressions that will lead to bigger and better tumbling.